The name is Hotel Herman K and the location as centric as it can be. With Copenhagen's historical department store 'Magasin' on one side of the street, the main shopping street, 'Strøget', at its feet and the iconic church Nikolaj - now an exhibition space for contemporary art - on the other. 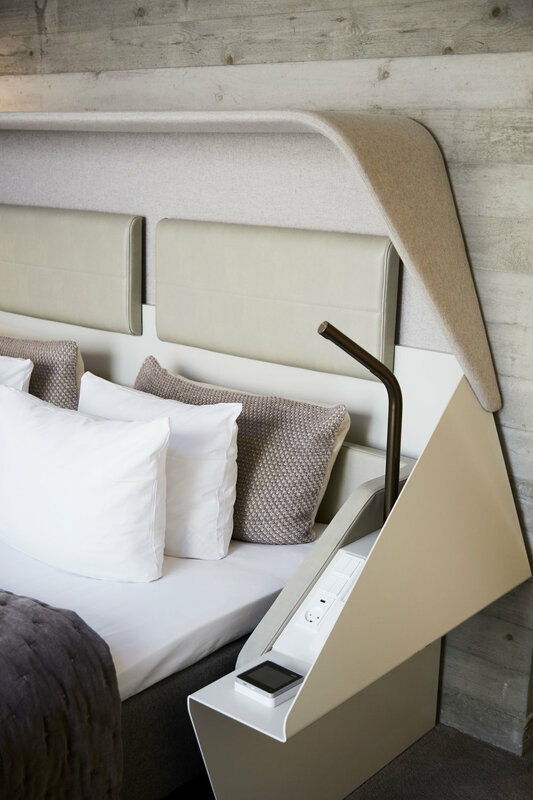 Hotel Herman K is the new brother in the Danish family hotel dynasty, Brøchner Hotels, also known for their boutique hotels Hotel SP34, Hotel Danmark and three other boutique hotels in Copenhagen. - A boutique hotel is a small hotel which typically has between 10 and 100 rooms. Boutique hotels began appearing in the 1980s in major cities like Paris, London, New York, and San Francisco. The term was coined by Steve Rubell in 1984 when he compared the Morgans Hotel, the first hotel he and Ian Schrager owned, to a boutique. 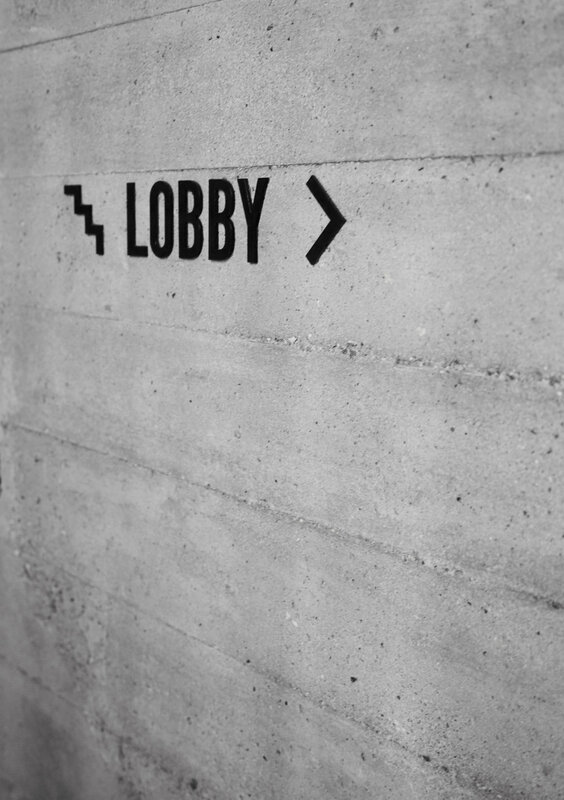 Herman K is a petite, cosy and luxurious hotel, where every square meter of the unconventional and crude concrete building has been put to use. The luxurious treat doesn't lie in spacious rooms or large architectural scales, but in the quality that surrounds you: in the linen on the beds, in the details of the interior, in the materials on the walls and floors, in the handpicked design furniture and on your organic breakfast plate. In the dining room, where the famous Michelin star chefs from Kadeau in the island of Bornholm have opened their new restaurant Roxie, you'll experience high-quality local gastronomy in a Nordic setting. The informal and generous feeling you experience as a guest at Hotel Herman K stems from the homely interior characterised by the curated art, the subtle colours and the carefully selected design furniture and is put well into play by events like the complementary Night Cap Hour or afternoon Wine Hour - a signature concept for all the Brøchner Hotels that underlines the easygoing, comfortable and calm atmosphere. In the roof terrace on the first floor - which is not a contradiction in terms but actually the roof of the kitchen area - you can chill in the midst of the city with a peek to everyday life of local Danish families that live in the city centre, while being embraced by both Danish classicistic buildings and edgy street art on the gables. 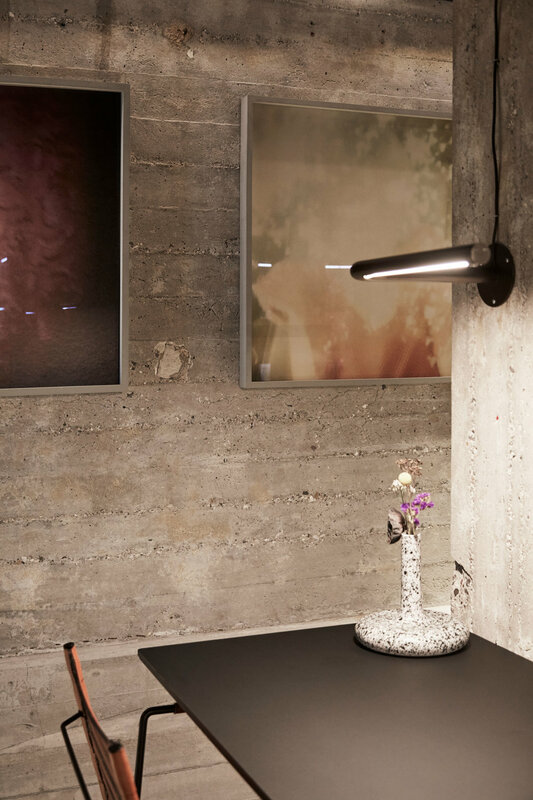 Hotel Herman K is small in size with its 31 exclusive rooms and suites, but substantial in ambition as the whole idea about transforming a former transformer station into a modern and well-designed hotel experience is never seen before. The transformer station was built in 1963 by Danish architect Hans Christian Hansen with the purpose of hosting the city's electricity while trying to blend in with the historical and classicistic buildings in the neighbourhood. 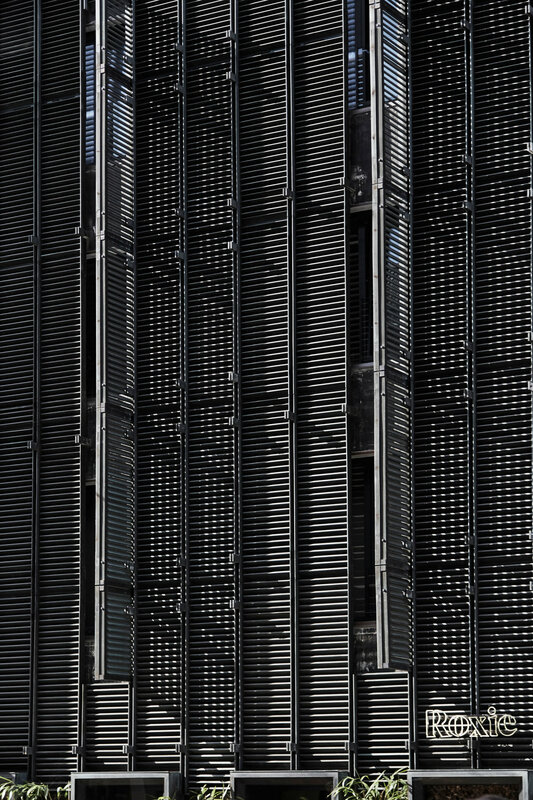 The transformer station provided power to the Copenhageners until 2013, and today the iconic building is protected by the government. The new owner of the building was thus allowed to slightly change the facade with a new door and new windows to let the guests of the hotel a real view and not just a view blocked by the panels. Since the restoration the facade of dark bronze slats and large glass doors draws attention to the lobby and bar with astonishing 12 meters to the ceiling framed by a custom-designed art piece by Argentinian artist Pio Diaz, hanging in the middle of the room like a giant and vibrant piece of edgy jewellery. 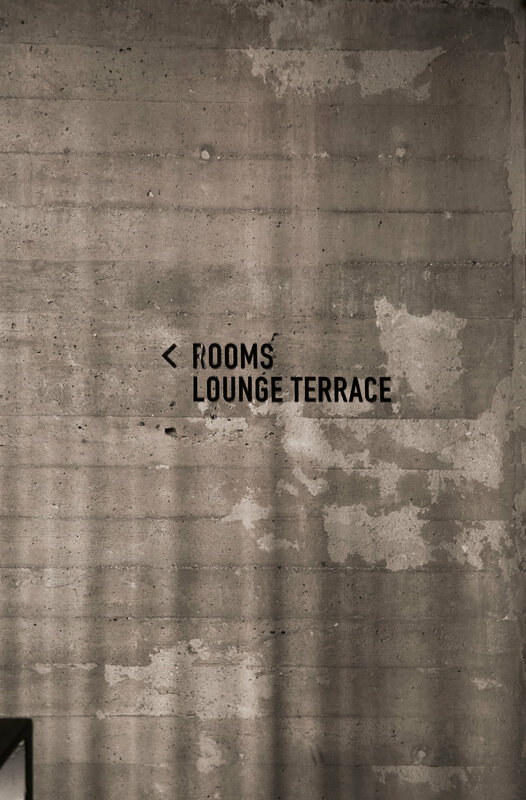 The rooms are kept in warm grey nuances as a textile and tactile interpretation of the concrete that is the overall material of the industrial building and the interiors. 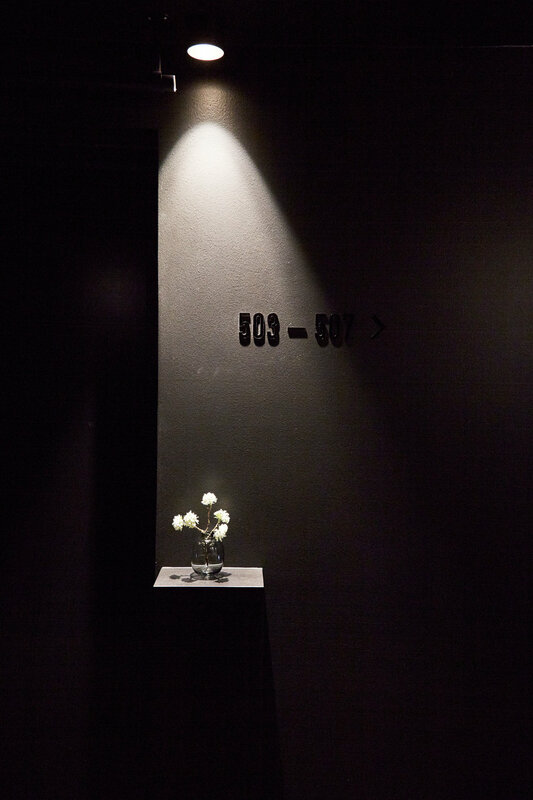 The bathrooms are hidden in the rooms like a gem - with marble-like tiles, bespoke ceramic sinks and LED lights in unusual places. 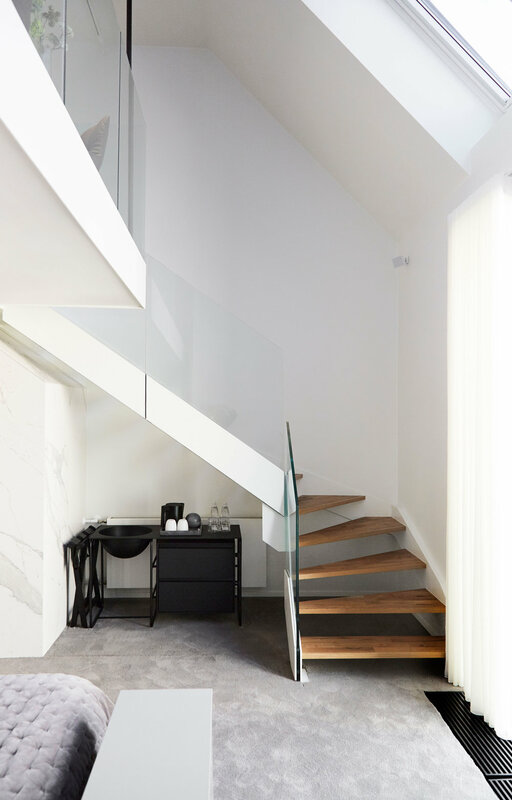 Herman K also includes a Penthouse Suite with a 40 m2 private roof terrace, and throughout the hotel, digital innovation is used to enhance the experience as the hotel guests can skip the keycard and use their private mobile to unlock the door to their room or suite. When inside, guests can stream their own media content to the screen and speaker, just like they do at home. And that is apparently what modern hotel luxury should feel like: like home. A generous, gastronomic, delicate and well-designed one. Brøchner Hotels is owned by Søren, and Mette Brøchner and the couple work together on each project - from location and building scouting to restoring and redecorating. The company have their own in-house team of skilled architects, engineers and designers and the busy family open yet another boutique hotel Hotel Ottilia in 2019 in the urban and newly restored Carlsberg housing area in Copenhagen together with a hostel in Fall 2019 in the former principal library in Aarhus, Denmark's second biggest city.